This level has medium difficulty. 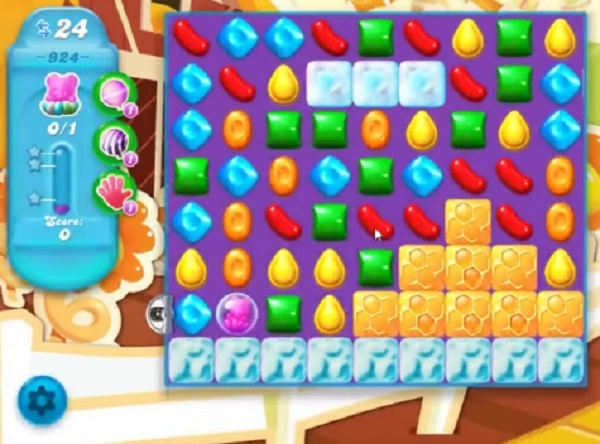 For this level try to play more from top part of the board to shuffle the candies as it will help to get special candy. Combine them with each other to break more blockers or play near to bear to move them and take them out from the board. Kind of bummed that everybody gets this but me. I really wanted to make it to 1000 but I think I’m done. I can’t see any conceivable way to win this. I can’t even get off the first screen and don’t have the faintest idea what I should be trying to do. I just sit and waste all the turns and that’s it.